RiAnge Creations: I Need to Get Out of the Red!!! I Need to Get Out of the Red!!! Yes, I've got to get out of the red. The numbers reflect fabric that has been added to my stash this year and doesn't include the 14 yards that was just delivered to my office. I haven't sewn one item in May. Surely, I should be able to knock out a skirt or two before the month is over. I'm suppose to be on a fabric diet! 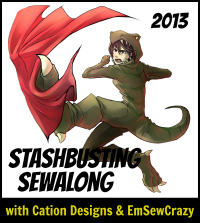 There's a Stash Contest on PatternReview.com. No it's not for who has the biggest stash! I'll be sewing from the pile located in the left corner of the very last photo. I've got thirty days. This should be interesting. Here's a few items in my stash. You've heard of SABLE, right? Wow. You've got it bad. So much beautiful fabric. Good luck with getting out of the red. No worries, my fabric stash is three times larger. LOL! and I deserve all of it and more. I will never get out the red and guess what I don't want to..... LOL! Thanks Cennetta. Most of it is beautiful. A small percentage is "what was I thinking, but I'll hold onto it just in case". You're right, I've got it bad. Alethia, If your stash is at least three times larger than the photos shown, then we may be close to having the same amount. LOL. I'd like to get out of the red. Just once, I'd like my output to be more than my input. So this is challenge I'm going to embrace. Maybe I can do it by the end of the year. OMG, beautiful fabric! 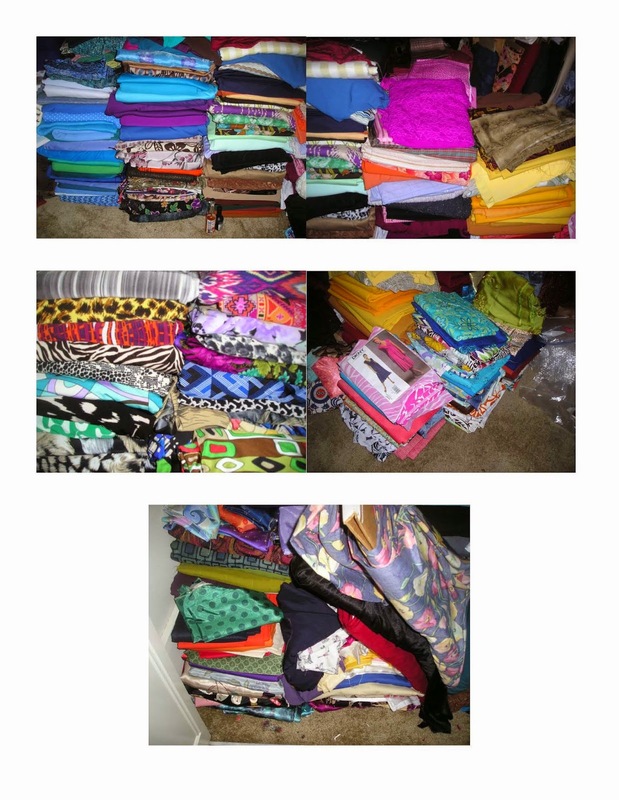 Is it bad that I spot some fabrics that I own in your stash, LOL. I think I have just as much if not DOUBLE what you are showing. 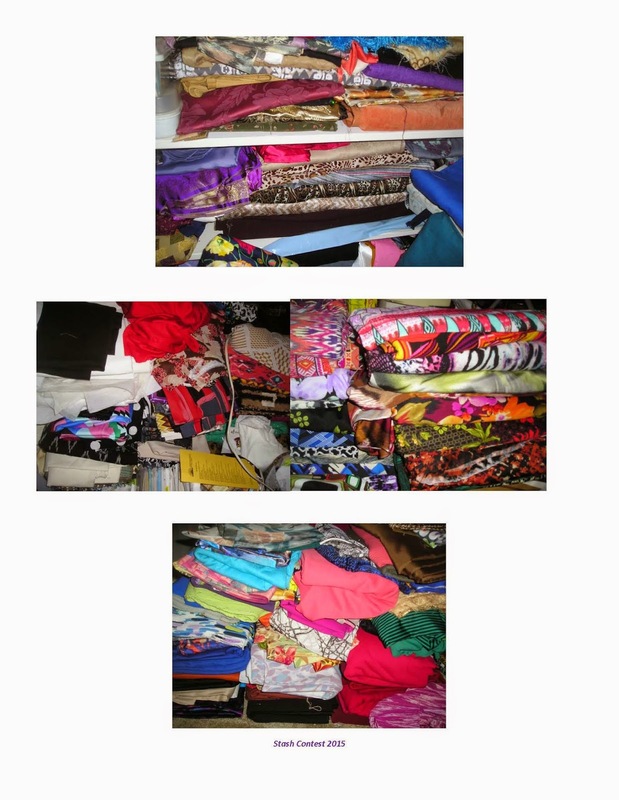 I am on a fabric diet myself and have been working through stashed fabric mainly recently. I hope to work through a lot during the PR Stash contest. Wow, if I could only come to your house and have free range in that gorgeous stash!!! Beautiful stash ... loving all the jewel tones... heck love looking at you fabric stash. I can't stay out of the red if I wanted to....lol. So you are not alone. Very nice fabrics. Hope you will success on sewing without red fabrics, although it's my favorite color.